FREE for a limited time – Grandma’s Garden, an adorable educational app for preschoolers. Kids join dancing grandma in her garden which has just been updated for Easter/Spring. 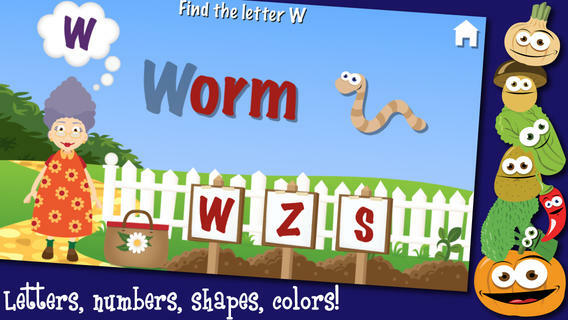 The app features 8 educational games – all thematically linked. Kids will love helping grandma around the garden and they will be learning important math & reading skills as they help. The app also features short videos of real-life gardening. The following concepts are integrated into the games: initial letters, colors, numeral recognition, group recognition, counting, vocabulary, shapes, matching, and more! I love this app – it seamlessly integrates important educational content into fun thematic games. And, little ones will learn about gardening. I especially like the when Grandma asks for a kiss on the cheek – so cute! Highly recommended.